The steeplechase is not a race people normally talk about let alone know what is involved in it. Do you? Emma Coburn does. Her specialty lies in the 3000 meter steeplechase. Emma is as real as it gets, and shows the real side of herself here. She tells us of her adventures from not liking to run to working hard to become a world champion. She believes that all the various water and mountain sports she participated in growing up attributed to the steeplechase clicking with her. She discusses her roommate and the unique culture at her university that bonded her teammates, made a huge impact on her career, and made her big goals seem more attainable. I hope many of us can name at least someone who has inspired us or made an impact on us with running. Emma goes into elaborate detail about what she was thinking and feeling during this year’s 2017 World Championships in London. She shares her strategy during the race that led her to win. The race was not all physical, as she recalls the mental shifts needed while dealing with things that unexpectedly happened. 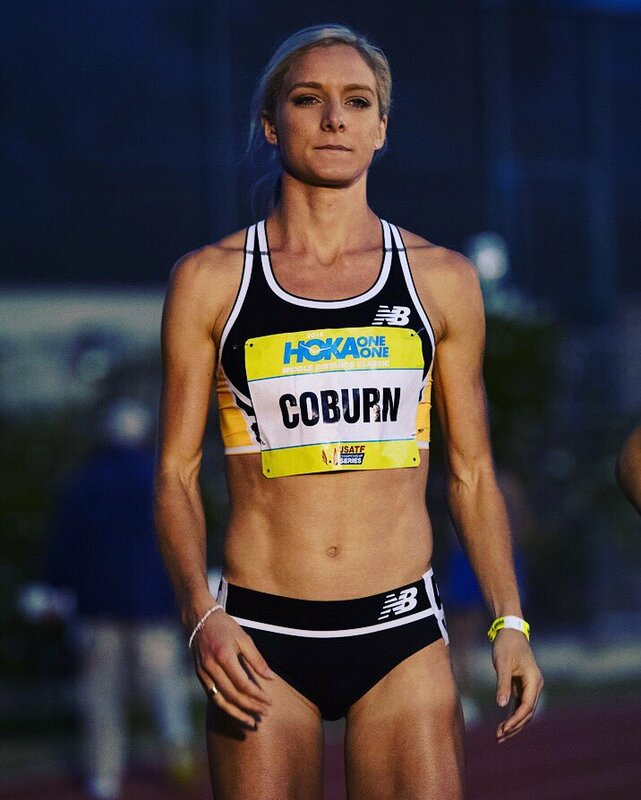 Emma Coburn is the first woman to win a gold medal at the 2017 World Championships in London, and received a bronze medal in the 3000 m steeplechase at the Olympic Games in Rio de Janeiro in 2016. She is the organizer of the Emma Coburn’s Elk Run 5k in Crested Butte. How Emma learned about work ethic and professional attitude as part of her training. What her journey looked like that got her from being just a kid living in Crested Butte to receiving a gold medal at the World Championships. How Emma showed her support to her New Balance sponsor after her race. How she worked around Rule 40. What yearly event Emma and Joe organized to be held in Crested Butte. I think what was challenging with running is that it’s really difficult, it hurts, almost every day. Running wasn’t always my number one thing, and it really wasn’t what defined me growing up. What took me a while to really love running was getting over the fear of the individual side of it, and learning to cope with that stress and those pressures of having your performance completely rely solely on you. I thought the water jump was super fun. The very first time I tried it, I nearly cleared it, and it was like, oh, this is great. I wish I was doing this years ago. I do think though there is a, um like a snowball effect. If you see the successes of people before you, and you just want to build on it. And then when you’re gone, that people want to build on your success. And it builds and builds. The very first second I crossed the line, it felt incredible and it felt like a hard earned victory, but, umm, that I was incredibly proud of. It still feels very special to this day. And a little bit, still, of that dream come true. Generation UCAN and BodyHealth sponsored this episode of Running for Real. Two products you can rely on. BodyHealth Perfect Amino helped my body recover MUCH faster after runs and workouts, I couldn’t imagine my training life without them. You can enter to win a free pack of 6 bottles or get 10% off at BodyHealth.com using coupon code TINA10. Click the banner for more information. Thank you to Emma, I look forward to hearing your thoughts on the show.